Do you have bad credit or defaults on your file but still need business finance? Running a business is hard work, especially for small business owners who accept the vulnerability that comes with following their entrepreneurial dream. In today’s competitive economy, there are numerous risks that come with trying to open your business as well as become financially successful in the long-term. Unless you inherited millions of dollars, the upfront costs associated with starting your own business usually require a large investment that is financed via a business startup loan. While business loans certainly do help in the process of establishing your entrepreneurial vision, they also put your business in debt from the start. The combination of the competitive, global economy, startup capital, the debt most business owners take on to start up their business, and other unpredictable risks, it is not unusual small businesses accrue massive amounts of debt, default on their loan, and then suffer from low credit scores. Since most traditional banks and lending agencies will base their loan approval decisions on credit worthiness and scores, many businesses that have defaulted on previous loans or who have a low credit score are simply excluded from any sort of financing options. Bad credit can affect even the very best businesses and when there are defaults on the business credit file a bank rejecting you for a business loan is the last thing you need. Other businesses that are denied financing by banks and other traditional lenders, are forced to seek out loans from individuals that offer insanely high interest rates and strict terms and conditions that only push the business further down the financial hole. For a business that has suffered through tough financial times and has one or several negative marks on their credit history, what options are available? Bad Credit Business Loans will suit a business that has a poor credit score or defaults. These loans can be creatively structured to benefit both the lending company and the business borrower. 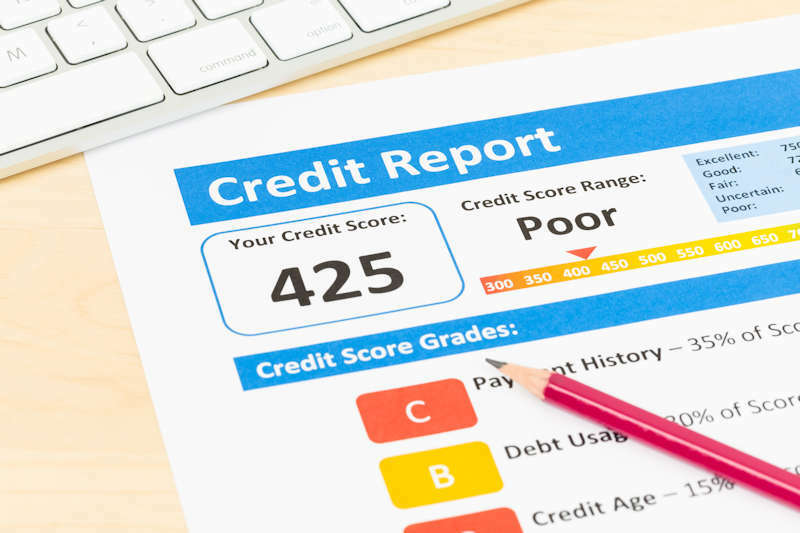 To be honest, bad credit business lenders will almost certainly not be able to offer the absolute lowest rates and the best terms and conditions on the market. Because lending agencies presumably take on a bigger risk by offering financing options to businesses with bad credit files and low credit scores, they generally increase their rates to mitigate this risk. However, there is a huge difference between a lender offering a loan at 20% interest rate and an individual loan shark or payday type lender charging 100% to 200% interest. Without the proper research, some desperate companies and small businesses often times enter into bad credit business loans with horrendous interest rates that will leave them in more financial distress than before they took on the loan. While the initial influx of capital from the loan might provide some relief, the high monthly payments and the interest burden can lead to long-term financial difficulties for companies. While bad credit business loans are usually directed towards companies who have either defaulted on a previous loan or who have some other sort of negative history on their credit file, these loan options might also be the only options for certain startup businesses that aren´t able to secure a loan through a traditional bank. Many banks have strict lending criteria that will exclude startup ventures that are not able to provide the extensive documentation and proof of business profitability. Because of the reputation of somewhat “shady” lenders on the internet offering loans to small businesses that have bad credit history; it is absolutely essential that you do some research. While the lowest interest rate is one major factor you should be looking for in the best bad credit business loans, you also need to be aware of the different hidden fees associated with these loans and the potential penalties that you could incur throughout the life of the loan. In addition, you should also ask your lender if they charge for early payment penalties. As with any loan, the quicker you pay it off, the less you will end up paying in interest. If your business is gaining financial stability and you´re able to pay off your debt before the loan term ends, you shouldn´t be penalized for that. However, many lenders of bad credit business loans often charge a ridiculously high prepayment penalty, which is unfair and damaging to your business. Because there are so many different banks, other financial institutions, and lending agencies out there offering bad credit business loans, it can be intimidating to try to find the best lender offering the best rates, terms, and conditions. This online tool will help you quickly and efficiently search for the best lenders on the market and the best bad credit business loans with guaranteed approval in Australia so that your company can get the financing it needs.